Studying the New Testament can be an exciting-and intimidating-experience. 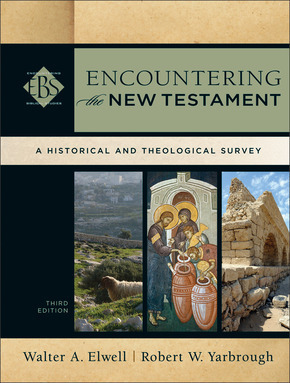 Encountering the New Testament is a readable survey designed to make the adventure less daunting and more rewarding. Two experienced classroom teachers offer a new edition of their bestselling and award-winning textbook, now with updated content and a new interior design. An accompanying website will offer a wide array of resources for students and professors. Resources for students include flash cards, self quizzes, and chapter summaries. Resources for professors include suggestions for class activities as well as an instructor's manual and test bank. Students of the New Testament will find this introductory text both informative and engaging.